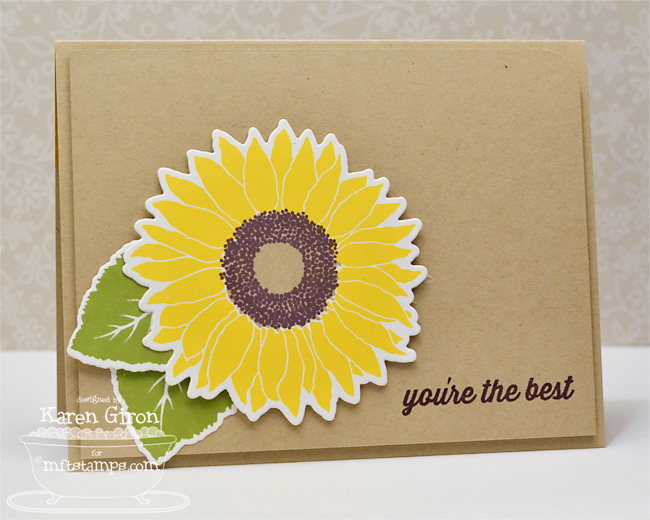 I'm starting off Teaser Week with a gorgeous flower set for Lisa Johnson Designs - Splendid Sunflower. I cut out the sunflower and leaves with the coordinating LJD Splendid Sunflower Die-namics set in Smooth White Card Stock and then stamped the layered flower in Lemon Drop, Kraft, and Hot Fudge Ink. The sentiment is from another set - Sending Thanks, which I stamped in Hot Fudge Ink. I stamped directly on the Kraft Card Stock on the inside of the card in the same colors and then added another sentiment from Sending Thanks in Hot Fudge Ink. So pretty just simply stamped...a stunning job as per usual Karen! This is so adorable! Great! 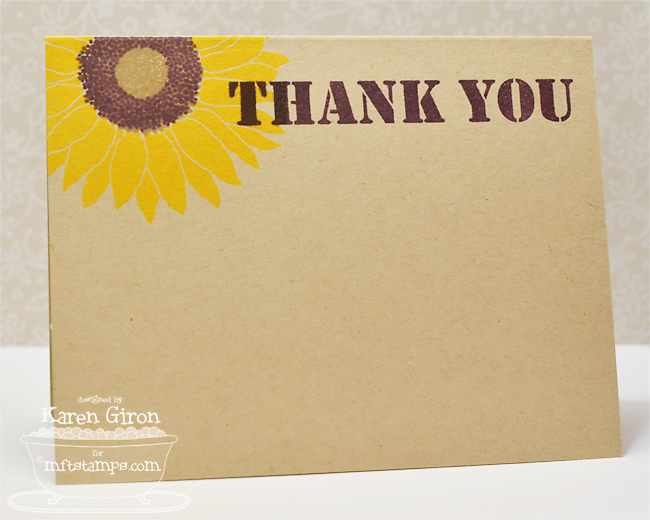 Like the bright sunflower on the kraft background. Love your card! Thank you so much for sharing! I can't wait to have this set! Beautiful card! 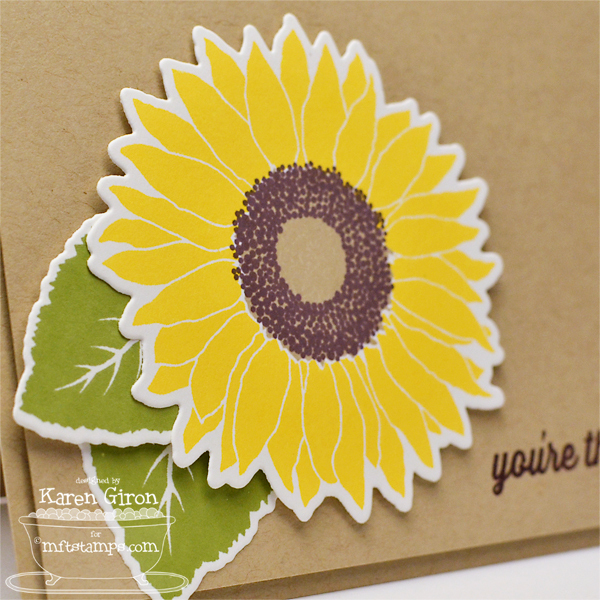 I love the pop of the sunflower against the kraft. Gorgeous clean design, Karen! Love it with the Kraft background! Love the stamping on the kraft! These sunflower images are beautiful! Your cards are just a ray of sunshine!! What a beautiful card you made, simple but so beautiful! Great cards! love the simplicity! Beautiful! Love that stamp set. Your card is so lovely. The bright colors and neutrals are great. Lovely CAS design. The yellow and kraft work together so well. You can never go wrong with Kraft Cardstock and girl this card is just proves it. Love it! Really gorgeous! Those sunny sunflowers really just speak for themselves on that kraft CS. Love it! Loving the simplicity of the sunflower. A simple card Karen but fabulous just the same. Very pretty card. Simple yet elegant.